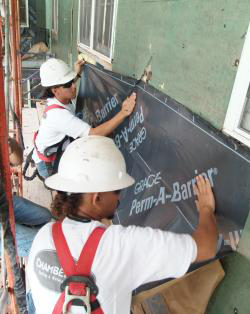 At DeBrino Caulking Associates, Inc. we offer all types of building restoration, preservation and masonry projects, from concrete, brick and stone repairs to code upgrades. Since 1977, we have been dedicated to meeting each project’s technical and scheduling requirements. We will assess your building’s condition, review the issues found, and we will help you make a plan to correct any issues that are found.